Why should carnivores have all the fun during the summer? Vegetarian food tastes great when it comes fresh off the barbecue too. Hosting a barbecue for vegetarians doesn't need to be so different to throwing a barbecue for meat eaters, only instead of chicken and beef you'll be serving tofu and vegetables. Here are a few of our top tips to make your veggie barbecue a roaring success. You want to impress your guests, but it's easy to spend beyond your means when entertaining. Set a barbecue budget using our free Money Dashboard budgeting software, and don't let yourself go over it. The dashboard quickly shows you how much money you've spent on the event, and how much you have left over at the end of the month. There are a few easy ways of saving money on your barbecue if you need to - start by letting your guests join in the cooking by asking them to bring their own signature dish, with a small prize for the best one. It's not a barbecue without burgers and hot dogs, and luckily there are some delicious vegetarian adaptations of these that will do the job just fine. Before throwing your soy sausages on the grill, make sure you read the pack instructions thoroughly. 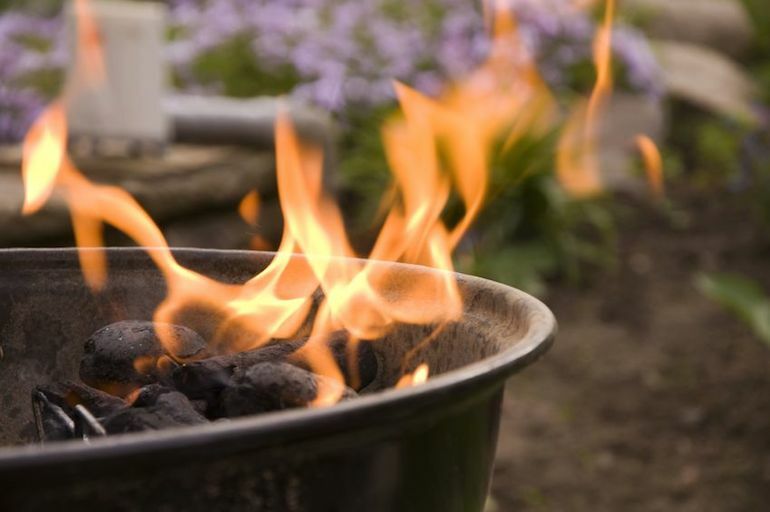 Some products aren't suitable for barbecuing, and can end up falling apart and making a mess all over your clean grill. The packet instructions will give you fair warning, so save yourself any disappointment by checking before you buy. Vegetarian barbecues are an excellent opportunity to get your five a day, so make the most of it by picking up lots of fresh vegetables to throw on the grill. Mediterranean vegetables like courgettes, peppers, aubergines, and red onions work well skewered with cubes of halloumi to make tasty kebabs. Slip the cooked veggies off the skewer into a pitta with chutney and you have a heart-healthy vegetarian snack that tastes like summer should. Side dishes are what make a barbecue special. We've already mentioned how to save money on sides, by asking your friends to bring some along, but if your budget can stretch to it, try preparing a few quick salads and tasty bites yourself. Baked sweet potatoes are always a good choice: brush them with oil, wrap them in tin foil, and tuck them into the embers of the grill for half an hour, turning halfway through. Once they're soft you can serve with a dollop of yoghurt and a snip of chives. Remember, the best part of any barbecue isn't the food; it's the company. Even if this is the first time you've cooked vegetarian food for a large group of friends, remember to relax. Sort out a nice seating area before everyone arrives, put your favourite summer playlist on during the meal and everyone will enjoy themselves.